Today, the European Asylum Support Office (EASO) published four Country of Origin Information (COI) Reports on Nigeria: Security Situation, Actors of Protection, Targeting Individuals, and Key Socio-economic indicators. The reports provide information relevant for the protection status determination of Nigerian asylum seekers. In 2017, Nigeria was the fourth most common country of origin in the EU+ countries with a total number of close to 42 000 applicants. In 2018, following a substantial decrease in the number of irregular arrivals in the central Mediterranean, far fewer asylum applications were lodged by Nigerian nationals in EU+ countries. Despite this decrease, Nigeria remained in the top-five among all countries of origin of applicants in the EU+ with about 21 500 applicants recorded between January and October 2018. At the end of October 2018, around 25 000 cases awaited a first-instance decision. The EASO COI report Nigeria Security Situation, following a brief and general introduction to Nigeria provides a general description of the security situation in Nigeria. The first chapter gives an overview of the recent conflicts in the country; actors in the conflict; recent security trends and armed confrontations; the impact of the violence on the civilian population and IDPs; and the impact of the violence on the state ability to secure law and order. The main conflicts in Nigeria are elaborated upon in more detail in the second chapter. A general description at the level of the geopolitical zone contains information on the geography and population, and on the background of the conflict, including the actors active in the conflict. This is followed by a description of recent trends in the security situation, with regard to the nature of the violence, frequency, tactics and targets, locations and number of fatalities. Also the impact of the violence on the state’s ability to secure law and order, and the impact on the population are discussed. The report includes specific information on violent incidents and civilian casualties in the North East where Boko Haram is active. An increase is noted in the number of violent incidents in the North Central Zone and Kaduna State, where conflicts between herders and farmers are intensifying. By comparison, the Niger Delta saw a much lower number of fatalities than the two previous zones. Striking is the relatively low number of incidents but resulting in a high number of fatalities in Zamfara State, where cattle rustling and mass attacks on villages have soared since the beginning of 2018. The EASO COI report Nigeria Security Situation was drafted by the Office for Country Information and Language Analysis (OCILA) of the Dutch Immigration and Naturalization Service, in accordance with the EASO COI Report Methodology. It was reviewed by an expert from the International and European Affairs Unit, Department for Asylum and Migration Policy, Czech Republic. The external expert Nnamdi Obasi, Senior Advisor on Nigeria, International Crisis Group also reviewed this report, in order to ensure the highest quality. The EASO COI report Nigeria Actors of Protection provides information on the Constitution and the state’s legal structure, the police and armed forces, the public prosecution institutions, the court system, the National Human Rights commission, the Public Complaints Commission – (the Ombudsman) and the National Agency for the Prohibition of Trafficking in Persons (NAPTIP). The report highlights the complexity of the country’s pluralist legal system, consisting of common law, Islamic law, customary law at federal, state, and local levels. Problematic capacity and integrety issues with the police and the national army are noted, leading to human rights abuses and corruption, as well as the high number of complaints received by the National Human Rights Commission, reaching one million over 2017. The EASO COI report Nigeria Actors of Protection was drafted by the International and European Affairs Unit, Department for Asylum and Migration Policy, Czech Republic, in accordance with the EASO COI Report Methodology. The report was reviewed by the Office for Country Information and Language Analysis (OCILA) of the Dutch Immigration and Naturalization Service. In addition, the report was reviewed by the external expert Stella Amadi Odiase, Lawyer and International Development Practitioner, and by the Austrian Centre for Country of Origin and Asylum Research and Documentation (ACCORD). The EASO COI report Nigeria Targeting Individuals is divided into two main sections, following a first brief and general introduction to Nigeria. The second chapter on actors discusses several non-state actors, such as Boko Haram, militant groups in the Niger Delta, student/university cults, traffickers, and state or state-affiliated actors. The third chapter discusses 15 profiles of persons subject to targeting by one or more actors, or by society in general. These profiles, which sometimes overlap, include: persons targeted by Boko Haram, by university cults, members of militant groups in the Niger Delta, persons involved in herders-farmers conflict, religious minorities, persons affected by witchcraft and ritual killings, Lesbian, Gay, Bisexual and Transgender (LGBT) persons, women and children, and others. The EASO COI report Nigeria Targeting Individuals was drafted by members of the Country of Origin Information (COI) sector in EASO, in accordance with the EASO COI Report Methodology. The report was peer reviewed by Office for Country Information and Language Analysis (OCILA) of the Dutch Immigration and Naturalisation Service, and by Lifos, the Centre for Country of Origin Information and Analysis of the Swedish Migration Agency. In addition, the report was reviewed by the external expert Dr Megan Turnbull, Assistant Professor of Comparative Politics at the University of Georgia in the Department of International Affairs. The EASO COI report Nigeria Key Socio-economic indicators is divided into two main sections, after a first brief and general introduction to Nigeria in Chapter 1. Chapter 2 provides information on the following key socio-economic indicators: demographics, economic growth, employment, poverty, food security, housing and living conditions, education, health care, social networks and support mechanisms. A main emphasis, where information is available, is on the situation in Abuja and Lagos and on the socio-economic situation of women, Internally Displaced Persons (IDPs) and returnees. The third chapter provides information on mobility and internal travel possibilities. The EASO COI report Nigeria Key Socio-economic indicators was drafted by the Country of Origin Information (COI) sector in EASO, in accordance with the EASO COI Report Methodology. The report was peer reviewed by Lifos, the Centre for Country of Origin Information and Analysis of the Swedish Migration Agency. In addition, the report was reviewed by the Austrian Centre for Country of Origin and Asylum Research and Documentation (ACCORD). 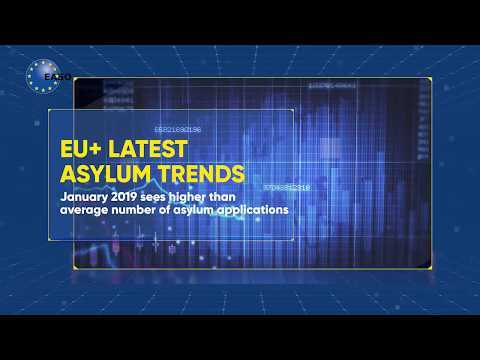 It is EASO’s intention to continue to produce such reports on important countries of origin and to update them on a regular basis in order to raise and harmonise COI standards in the EU and to further support the practical implementation of the Common European Asylum System.